Description:On February 2, a Confederate force under McLaws held the crossings of the Salkehatchie River against the advance of the right wing of Sherman’s Army. Federal soldiers began building bridges across the swamp to bypass the road block. In the meantime, Union columns worked to get on the Confederates’ flanks and rear. 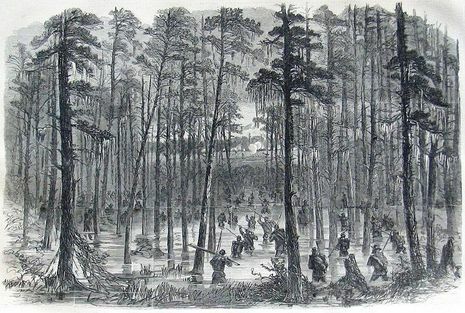 On February 3, two Union brigades waded the swamp downstream and assaulted McLaws’s right. 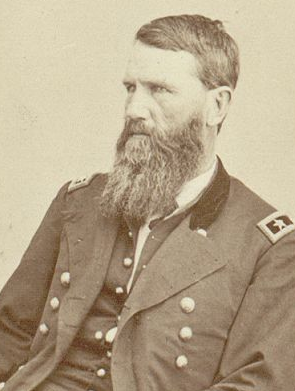 McLaws retreated toward Branchville after stalling Sherman’s advance for only one day. The Battle of Rivers' Bridge, also known as Salkehatchie River, Hickory Hill, Owen's Crossroads, Lawtonville, and Duck Creek, was a Union victory fought on February 3, 1865, during the Carolinas Campaign of the American Civil War. While Maj. Gen. William T. Sherman's Union armies marched north across South Carolina, about 1,200 Confederates under Maj. Gen. Lafayette McLaws were posted at the crossing on the Salkehatchie River. 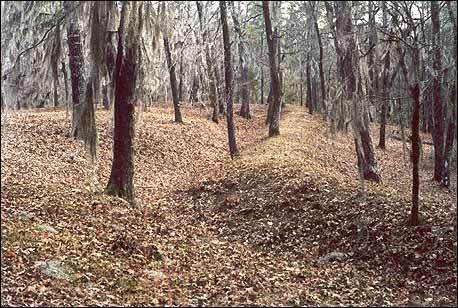 Union soldiers began to build bridges to bypass McLaws on February 2. 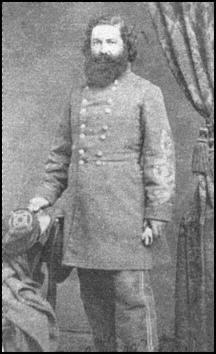 The next day two brigades under Maj. Gen. Francis P. Blair waded through the swamp and flanked the Confederates. McLaws withdrew toward Branchville after stalling Sherman's advance for only one day and Sherman's forces continued moving north into North Carolina.